Dutch search - Foundation "Odnalezc Orla"
At the beginning of the nineties, the North Sea still hid not only the mystery of the Polish submarine “Eagle”, but also two submarines of the Royal Netherlands Navy, which, in the face of the German invasion of May 12, 1940, as well as earlier “Eagle” and “Wolf” They were evacuated to Great Britain. These were: 60.4 meters long HNMS O-13, with a displacement of 610 tons, and measuring nearly 78 meters in length “HNMS O-22” with a displacement of 990 tons. The service of the two ships alongside the British Royal Navy was completed in as mysterious circumstances as the Polish ship ORP “Eagle”. The “O-13”, which received the British Tactical N-13, entered its second and most recent patrol under the British operational commandment on June 3, 1940. The day of his sinking falls on June 20. “O-22” – British tactical mark P-22 – was put into active service a little later, July 30, 1940. The ship required retrofitting and armaments. Despite launching in January 1940, the Royal Netherlands Navy entered only two days before the evacuation of the Dutch forces and was therefore unable to complete all equipment and weaponry. His last patrol “O-22” began on November 5, 1940, heading for the coast of Norway. After that day, no reports were received from the ship, and further fate and sinking circumstances were unknown. Both the Polish and Dutch Navy, aiming to clarify the fate of their ships and find the resting place of their heroic crews, have for years been taking steps to determine the circumstances of their sinking and identifying wrecks. The purpose of this was to serve both the official activities of the Ministry of National Defense and the former submarines, especially those associated with the Submarine Brotherhood, numerous contacts on the Dutch, Norwegian and British sides. In 1993, the hearts of the underwater brothers were killed harder. Both to Poland and to the Netherlands were informed that a Norwegian Petroleum Direktorate (Norwegian Petroleum Direktorate) exploded west of Egersund at a depth of 180 m on a wreck of a submarine. After studying the technical details of the recorded film depicting the wreck, the director of the Naval Museum in Horten kmdr. Capt. Steinar Sandvold and kmdr. Capt. Hakon Smebol ruled that it could only be Polish ORP “Eagle” or derived from the same shipyard K.M. De Schelde in Vlissingen Dutch submarine “O-22”. However, the final identification required additions to the ship’s documentation, assembly and analysis of their photographs from the war period and obtaining technical plans and descriptions. Further assistance from British museums and archives, the Polish Institute and the. Sikorski in London, the Dutch shipyards and the Marinemuseum in Den Helder as well as professionals and private enthusiasts. The necessary documentation was gathered and, without introducing public opinion into action, further work was started. The Norwegian side, on the basis of the documents obtained, was certain that she was from the shipyard of Vlissingen. At that time, however, it was not possible to decide unequivocally on his identity. The next step was to provide representatives of the Polish Navy and Naval Museum with the Norwegian documentation and video tapes of the wreckage. Admiral Romuald Waga, then Admiral Romuald Waga, was involved in the case and the Director of the Naval Museum in Gdynia. Dr. Zbigniew Wojciechowski, who was to lead further work on the Polish side. Despite the confidentiality of the activities of the navy concerned, at the beginning of 1994, the public heard of the discovery of a wreck which could be the famous Polish submarine ORP “Orzeł”. In March 1994 In the Naval Command in Gdynia under the guidance of the nautical. Jędrzeja Czajkowski held an expert meeting attended by journalists. Recreated the wrecked movie recordings, and the conductor, while analyzing the technical details of the ship, unfortunately broke off the hope that it is a Polish submarine. The recording, with the permission of Oljedirekoratet, was made available in the following months. At the beginning of March, also the command of the Dutch Submarine Service informed the Oljendirektoratet that in the opinion of Dutch specialists the ship was found “O-22”. Norwegian studies continued. Knut Siversten from Trondheim, Oistein Berge from Stavanger and dr. Wojciech Kauczyński from the Norwegian Marine Technology Research Institute in Trondheim, who during his service in the Polish Navy contacted the ORP “Sęp” twin ship. Wojciech Kauczyński prepared in the beginning of April the final report objectively indicating that the ship actually found was the Dutch “O-22”. By letter of April 7, 1994 Bjørn Bratbak of Stavanger informed the navies of the two countries concerned about the arrangements they made and provided the report to them. It is worth mentioning that the Polish side also received in the sent letter the words of the expectation of its rapid entry into NATO. April 19, 1994r. The Dutch media reported that a Dutch submarine, “O-22”, was discovered near Norway in November 1940 under the command of Lieutenant J.W. Ort lost with the 45-man crew, which included three British Royal Navy members in addition to the Dutch. Families of O-22 crew members received separate written notifications of their findings as to the fate of their loved ones. The wreck was declared a war grave, and in the second half of the year, the Dutch Navy and the Netherlands Submarine Service planned to make a solemn assembly of the wreath at the site of the sinking. 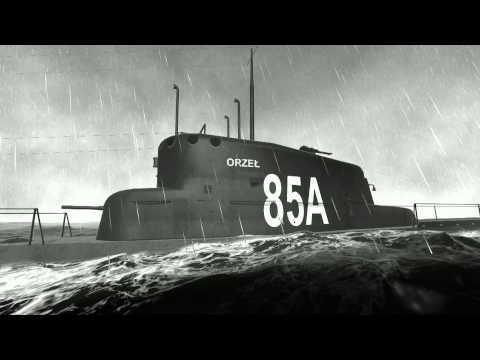 The fate of only two missing submarines in the 1940s: ORP “Orzeł” and “O-13” remained so unexplored. Due to the tightening of contacts between the PMW and the Dutch and British navy, and by establishing new contacts between the underwater navy and navy enthusiasts, more documents and information could be found to make it easier to locate both ships. Western archives were opened in the open, and technological advances and intensive research into the North Sea bottom gave rise to the hope of even accidental encounters with one of the ships sought. Unfortunately this did not happen. The growing interest of the societies of both countries for the fate of their ships and seamen, and the increasing pressure for official search, led the Dutch side to centralize its operations, which led to the launch of larger-scale “O-13” search missions in subsequent years. Over the years, between the active efforts to find ships on the Polish and Dutch side, a specific bond and understanding resulted from the similar fate of ships and the same aspirations of both sides. In addition, the proximity of patrols of both ships during their recent North Sea cruises has also been partially offset by actions taken by either side to serve each of them. Numerous official as well as private contacts were established between the interested parties, providing mutual assistance in obtaining information and documents. It should be noted that not only active Naval officers, but also retired officers, members of the Submarine Brotherhood, as well as museum and private enthusiasts, contributed not only to this. The next step was taken by the Netherlands Navy on 27 April 2005 in the Netherlands at the Royal Netherlands Naval Command, to hold an international conference on options for action to find wrecks “O-13” and “Eagle”. In addition to the representatives of the Dutch Navy, military attaches were accredited in the Netherlands, Great Britain, Poland and Germany. The result of the meeting was the decision to send a probable sinking of both ships of the Dutch research vessel “Snellius”. In addition, the British side has declared the inclusion in the search operation of its unit – HMS “Echo”. On the other hand, the Polish side announced the possibility of taking part in the search for “Eagle” and “O-13” by one of the Polish Navy ships in 2006. According to the findings made on July 24, 2005, the Dutch research vessel “Snellius” was launched into the sea with the intention of starting a search of a designated area near the point of 57˚N, 3˚30’E. Unfortunately, after a part of the planned exploration work, the ship failed, was forced to stop the cruise and go to Norway to make the necessary repairs. The British research vessel HMS Echo was to replace the Dutch research unit, although the findings of the search were unknown. It is known, however, that the search for the same year was continued by the Dutch ship Lumen, albeit without success. On 8 October 2012, the Dutch Navy continued the search for ORP “Orzeł” wrecks and “O-13” HNMS wrecks, this time on board the Dutch MV ship “Tridens”. Unfortunately, on October 13, the search had to be stopped due to unfavorable meteorological conditions.